Much of the intimidation factor associated with Darth Vader comes from the iconic armored suit he wears. The Star Wars Hooded Darth Vader Robe allows you to adopt his look in your downtime with its excellent Sith Lord style. The black fleece robe features a section of black and gray stripes along the front of the shoulders, and a colorful rectangle mimicking his chest unit appears on one side of the front. His lightsaber decorates one hip. 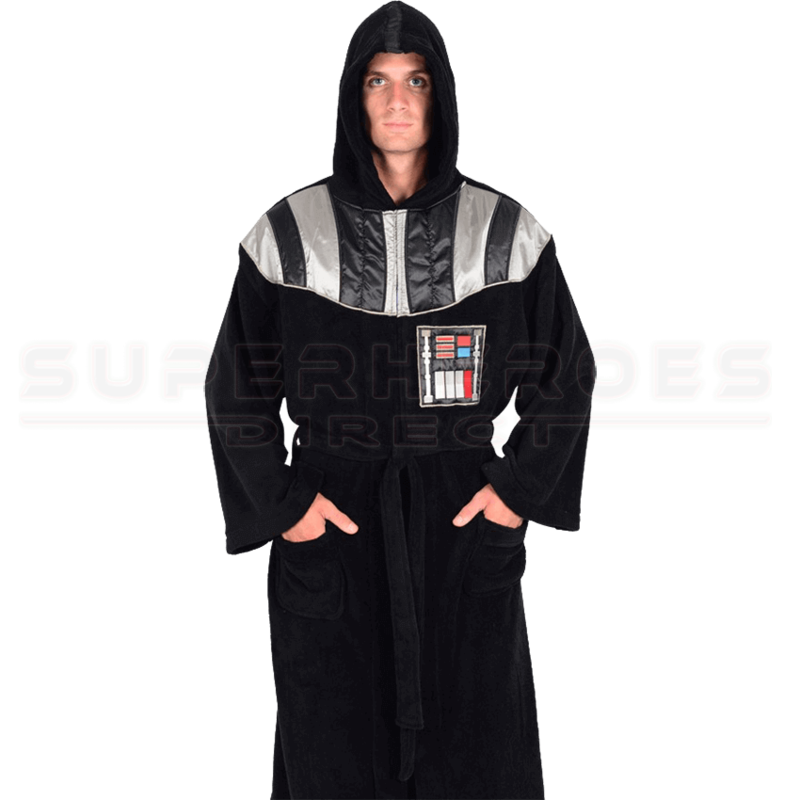 Pockets offer extra utility to the Darth Vader bathrobe design, and a belt cinches the waist. This hooded robe makes a great gift for new and longtime fans of the Star Wars saga.